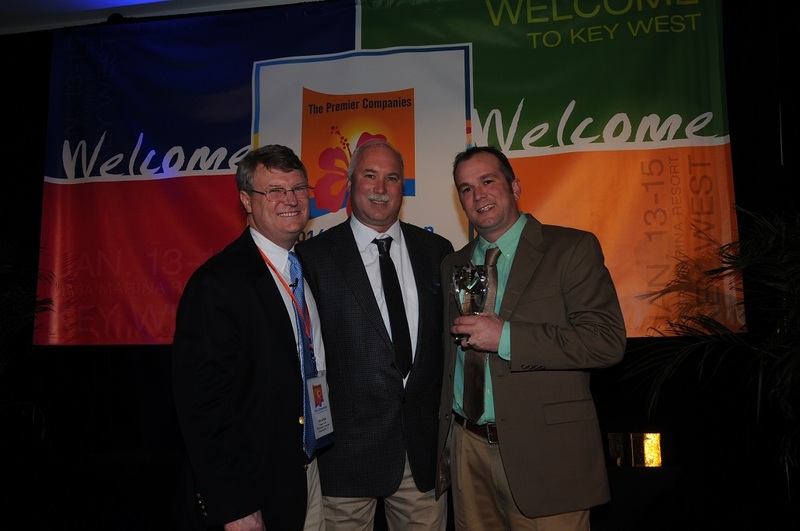 The Premier Companies concluded their 2014 National Convention in Key West last evening with the announcement of Premier's 2013 Dealer of the Year. A huge congratulations was extended and goes out to brothers Jamie and Rick Sieverding, Premier Home Furnishings franchisees in Clinton Iowa. The Clinton Iowa store was the first Premier Home Furnishings franchise to come into the Premier system opening their doors in 2004. Congratulations to Jamie Sieverding and Rick Sieverding, Premier Home Furnishings dealers in Clinton, Iowa. Jamie and Rick have worked hard together for the past ten years. They are very active in their communities and charities and are highly respected for their involvement. “We’re proud to be among the other Top Performers. Many of them have directed us in our success and we have a great deal of respect for them,” said Jamie. Rick added, “We could not have won this prestigious award without our managers and staff and we greatly appreciate the Premier Executive Team and all the support we receive from Premier. Jamie and Rick take on the Dealer of the Year award from last year’s winners Nebraska team, Mike Shuler, Heath Peters and Craig Schafer.